The campaign highlights cuts in funding, reduction of opening hours and resources, as well as the over reliance on volunteers to maintain services. It encourages members to support, volunteer in, and utilise their libraries and show that a great need for them remains in society today. In January 2013 the NFWI published a document ‘On Permanent Loan’ (click here to download). This collates the experiences of volunteers within the library services across the country and discusses the increase of community managed libraries. It emphasises the need for the government to continue to fund libraries to allow them to continue to meet the needs of their communities. Within Southampton we have 11 libraries and a mobile library, information on their location and opening times can be found on the Southampton City Council site. 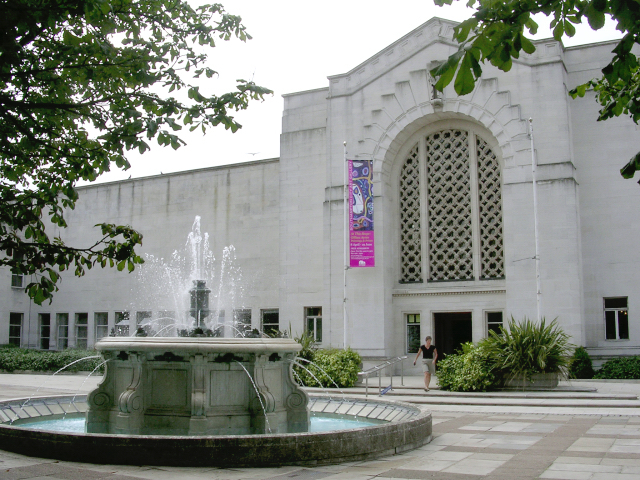 Southampton libraries have lots to offer and the catalogue is shared across the city libraries. There is a wide range of fiction including classics and the latest chart toppers (as well as the Sotonettes book club books for those who don’t have a copy to hand), a variety of non-fiction including a wide range of craft books to test a new hobby, cookery, if you fancy trying something different, and travel guides for your next holiday (and maps if you’re going somewhere a bit more off road). There is also a selection of reference books. If you’re setting up or expanding your business, learning a new language or working on a new skill the libraries offer books to inform. One of the best things about the shared catalogue is that you can request any book available to borrow to be delivered to any of the 11 libraries to be collected. The requests are usually fulfilled within a couple of days (everything can be done online too) and this system certainly saves trips across the city to get that must-have book! The libraries don’t just have books, there also have a selection of CDs and DVDs covering all genres available at a fraction of the cost in the shops – perfect for a night in or to keep the kids entertained in the holidays. Many of the libraries also have free computer and internet access. The library is a place of discovery and encourages families to use them. There’s a range of childrens books, and areas for teenagers. Many of the libraries offer a story and rhyme time for under 5’s (see here for more information) and some have a toy library. Many also have their own reading groups, some are specific to a genre, such as the Bitterne Science and Fantasy Fiction group, while others are more general. Portswood, Shirley and Woolston are just 3 of the libraries that run knitting groups, Bitterne has a family history group and Woolston also runs a film group. Have a look on the Activities page to see if there is something that tempts you. Managed online, library membership offers access to national newspapers, e-books, driving theory tests and more, giving access to information whereever you may be. If this post has inspired you to revisit your library, or if you are already a user, please let us know- we’d love to know what you’ve discovered. If you are interested in volunteering at your local library more information can be found here. Please remember that our libraries can only continue with our support, whether that be campaigning for funding, volunteering or most importantly using the facilities. If we don’t use it, we are sure to lose it, so please love your library! The WI does all sorts of campaigning about all sorts of issues. If you’d like to know more about campaigning in general, have a look at our Campaigns page here or just click the ‘Campaigns’ link up at the top of our page.